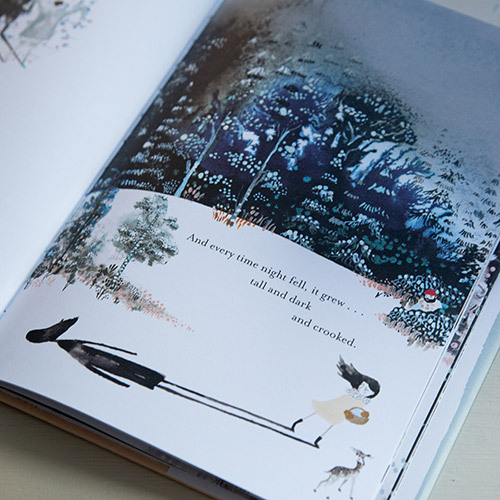 Hortense and the Shadow is a beautifully-presented, thought-provoking book, with a unique story and exquisite illustrations. Sometimes, children can be annoyed by certain features they possess, and a lack of self-worth can follow. Hortense seems to have these feelings too, as she tries to escape her own shadow. 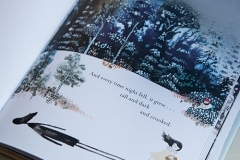 Hortense is able to turn her opinion of her shadow around in this book – she goes from hating it, to seeing it as a part of her and begging it to return. There is acceptance. When Hortense faces danger and encounters bandits, her shadow comes to the rescue, and morphs itself into various forms to scare the bandits away. 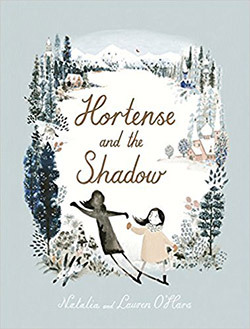 Hortense comes to see that her shadow is a valuable part of herself, and through it, she has the ability to be strong enough to protect herself from peril. She is empowered. Try asking a child what they see as their biggest strengths. Perhaps they could draw pictures of their own shadow to represent those strengths, like Hortense’s shadow hunter, or her shadow bear. Ask the child how drawing these shadows makes them feel.